The bohemian staple has gone full-on mainstream. With more options than ever at every price point, you’re sure to find a version that compliments your wardrobe. We’ve been spotting kimonos on street style stars on the regular lately, so get with the sartorial program and get thee one! Try it over everything from jeans and a tee, to a pencil skirt and camisole. Keep the rest of your look streamlined and modern to avoid looking a smidge costumey. Scroll down to shop some of our favorite chic kimonos! 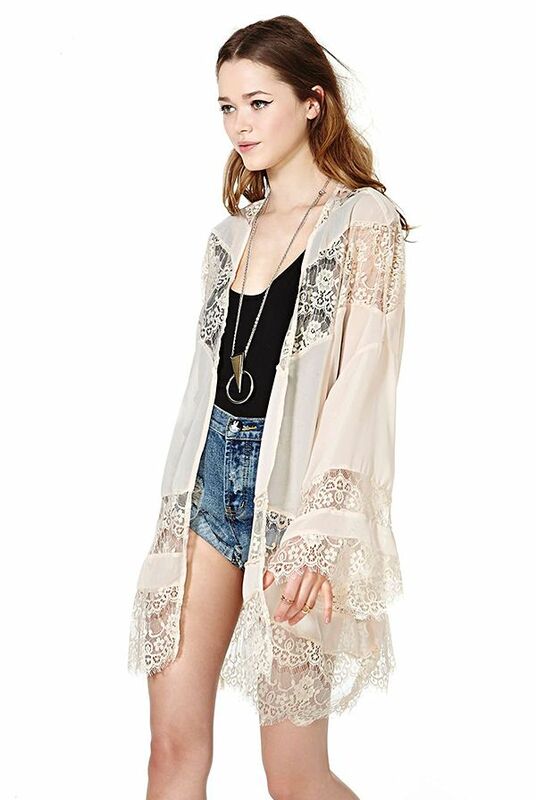 This romantic kimono will give a delicate, ethereal quality to any look. Fringe lining adds a playful quality to this brightly colored option. We plan on topping an all-black outfit with this sleek cobalt kimono. Wear this version into the fall, and for either day or night. This drapey, neutral kimono is on-point when paired with denim. Try this versatile kimono in place of your usual black blazer for a more relaxed vibe. The detail on this cropped kimono is so sweet, and pale blue is definitely having a moment. We love this version over cut-off denim shorts and a tank for the weekend. Palm Tree motif for a night out, you say? Yes, thanks to this silky black and white style. We’re dreaming up a multitude of outfits that this salmon-hued kimono would complete. This lacey number has cool-girl written all over it. Top a white swimsuit off with this version and you’ll surely stand out at the beach. Everything about this embroidered kimono is dramatic and beautiful. We love the vintage feel of this lovely rose-covered kimono. How do you feel about the kimono trend? How would you style one? Sound off in the comments below!